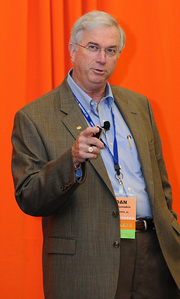 G. Dan Lumpkin is widely regarded as one of the current leaders, speaking on change. An international speaker and author, Dan has presented to audiences of thousands in the United States, Mexico, Egypt, Puerto Rico and around the world. He is President of Lumpkin & Associates, the management consulting firm that specializes in helping organizations deal with change and build cultures for survival in these fast moving times. His team of independent consultants focuses on culture assessment and building, team building, management development, strategic planning and market development. His team is located throughout the USA and includes other professionals such as Psychologists, Medical Doctors, Lawyers, Teachers, Counselors, Film Producers, and Engineers to name a few. Lumpkin & Associates is an organization of seasoned professionals that, for more than thirty five years, has provided key solutions to business problems for organizations from the Fortune 50 to small independent businesses and individuals. A graduate of the University of Tennessee and a certified counselor, Dan’s management skills span over fifty years in various industries including, banking, merchandising, textiles, printing, training, retail, professional counseling and consulting. He is a professional member of the National Speakers Association, The Society for Human Resource Management, The American Society for Training and Development, The Institute of Management Consultants, The Institute for Control Theory, Reality Therapy & Quality Management, and The American Management Association. A recognized expert in the areas of negotiating, assessment, organizational development, planning, people skills and professional development, Dan has developed programs on Time Management, The Psychology of Agreement, The Power of Choice, Earning the Right to Lead, Interpersonal Skills, Sexual Harassment and many others. He helps organizations such a General Electric, Conoco, DuPont, Calgon Carbon, Texas Instruments, Mead Johnson and many others to build cultures that work and to negotiate agreement internally to accomplish business objectives. He has worked with Dr. Stan Self at the Self Center, P.C. to provide behavior and motivational seminars on the treatment of obesity. An outstanding speaker, motivator and educator, Mr. Lumpkin has addressed audiences from colleges, universities and business seminars to auditoriums of thousands. He is reviewed as funny, entertaining and informative. He is a pioneer of a teaching style called “edutainment.” His programs often sell out months in advance. Dan, his wife, Marla, and their children reside in Fairhope, Alabama. The CMC designation (Certified Management Consultant) is awarded by the Institute of Management Consultants and represents evidence of the highest standards of consulting and adherence to the ethical canons of the profession. Less than 1% of all consultants have achieved this level of performance. Institute of Management Consultants. To learn more about the organization and to apply for membership, click here. Linda helps organizations understand their culture, decide their vision, and then is highly effective in developing processes which gain not just “buy in” but true commitment in turning vision into reality. Her expertise includes: large scale change, organizational behavior, conflict resolution, group facilitation,, executive coaching and instructional design. Prior to consulting, she led four distinctly different turnarounds with her efforts resulting in financial success and also energized employees, loyal customers and effective systems in place to sustain growth. Through this experience, she learned the importance and skills for quickly establishing trust, learning a new work environment and energizing employees toward a common goal. This experience combined with her education as a counselor allows her to go beyond theory and provide practical solutions to client problems. 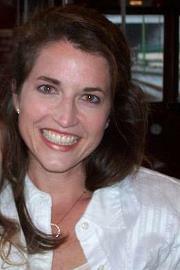 She is highly effective in even the most challenging of corporate change situations. To use the words of a 72 year old family business patriarch, “she just has a way about her.” Whether it is navigating through ten year old conflict, keeping up with the speed of a startup or leading a dinosaur company to reinvent itself, she is gifted in seeing possibilities and designing ways to achieve them. She also works in the custom design and delivery of learning experiences. In this aspect of her practice, her experience ranges from facilitated meetings for 150 leaders after a merger to a twelve day executive development program for one of the largest companies in the world. As a speaker, she interjects stories of “having been there” as a leader or along side as a consultant. She uses creative analogies to make what is complex, understandable and what is intangible, vivid and memorable. She lives with consistency between what she thinks, feels, says and does. Thus, the platform from which she speaks is genuine. She views the key to coaching executives as listening for understanding, understanding of the individual as well as the company. Just as sound corporate strategy requires knowledge of the economic environment, sound executive coaching requires knowledge of the corporate arena where the victories are won. She holds a masters in counseling from Ball State University and has completed post graduate work in business at Embry Riddle Aeronautical University. She also holds a Bachelor or Arts in Psychology and a Bachelor of Social Work form Concord College. She sees helping clients create a picture of what they would like to have happen and creating an image on a canvas as interrelated. Each a work of art but the organizational work the higher calling. It is a medium that allows her the privilege of touching lives from the shop floor to the boardroom and around the globe. A native of Illinois, Roy was educated there with undergraduate degrees from Millikin University and Garrett Theological Seminary. He received his Ph.D. in counseling and psychology from Northwestern University in Evanston Illinois. He as completed post doctoral studies in organizational behavior and was awarded Danforth Grant and Ford Foundation grants for his doctoral and post doctoral studies. Roy served as a pastor in the United Methodist Church for 15 years, has taught on the university level at several colleges and universities. He was founder and co owner of the Atlanta Consulting Group and served his clients as a management consultant in that capacity for 17 years. In addition he has experience as Director of Counseling Services at Piedmont Community College and Assistant Professor and consultant to the College of Education at the University of South Carolina in Columbia. Today , Roy is a Church Consultant with his company Partners in Ministry, along with is wife and partner Jackie Trueblood with whom he wrote a book and developed a program for leadership skills training for clergy and laity called Partners In Ministry, Abingdon Press, 1999. He is also the author of numerous articles on leadership, communication skills and team building and is the co-author of a best selling book on management called, Managing From The Heart, Dell Publishing, 1990. An accomplished speaker, writer, trainer, consultant and psychologist, Roy brings his education, insight , and expertise to Lumpkin & Associates team of experts to provide comprehensive solutions to our clients. Roy is married, has three children, He and his wife Jackie live in Daphne, Alabama and Navarre Beach, Florida. Heather Ryals is a consultant with Lumpkin & Associates, the management consulting firm that specializes in helping organizations deal with change and build cultures for survival in these fast moving times. Heather’s specialty is in culture assessment within the medical industry, medical practice management, team morale building, management development, patient education seminars, and health and wellness consulting. A graduate of Troy University with a degree in Marketing and Communications. She has 15 years of experience in the Medical industry and has made numerous presentations to physicians, nurses, patients groups, infusion centers, and other healthcare professionals. She has addressed audiences on a variety of topics including, stress management, general health and wellness, work life balance, communicating with others, essentials for success, conflict resolution as well as more clinical subjects on pharmacological effects of certain disease such as Alzheimer’s, Parkinson’s, ADHD, Multiple Sclerosis, Epilepsy and many more. Heather, her husband, Aaron and their three daughters ages nine, seven, and six reside in Magnolia Springs, Alabama. 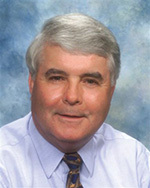 Dr. Craig Miller is President of KCM Consulting in Pensacola, Florida. Prior to this, he was Vice President of Physician Services for the Camden Group, a health care consulting company in Los Angeles, California. Dr. Miller has also served as Senior Vice President of Medical Affairs at Baptist Health Care where his responsibilities included clinical quality improvement, physician relations and recruitment as well as overall responsibility for development of the physician leadership program. During his tenure, Baptist Hospital, Inc. was awarded the 2003 Malcolm Baldrige National Quality Award in healthcare. Dr. Miller co-authored The Physician as Coach: The Awakening during his tenure at Baptist Health Care and the Baptist Leadership Institute and has written extensively on healthcare leadership development. He has been a champion for physician leadership development in his role as a consultant. He has coached hundreds of physicians and healthcare executives using the unique approach of personal discernment. Dr. Miller was the recipient of a National Institute of Health post-doctoral fellowship, after which he entered a residency program in Internal Medicine at Indiana University Hospitals in Indianapolis, Indiana, followed by a Pulmonary Fellowship at Southwestern Medical School, Parkland Hospital in Dallas, Texas. He then joined the Indiana University School of Medicine as an assistant professor of medicine and remained on the faculty until he entered private practice. During his academic years, Dr. Miller published four textbook chapters in the areas of Internal Medicine and Pulmonary Medicine. In addition, he has written and co-authored articles on health promotion and exercise physiology that have been published in such prestigious journals as the New England Journal of Medicine. Currently, he is an associate with Dan Lumpkin, CMC founder of Lumpkin & Associates. His work has taken him from coast to coast, working with dozens of healthcare systems using specific insight tools which enable physicians to establish action plans that enhance their leadership effectiveness. Ken Hudson is a Senior Human Relations professional with domestic and international responsibilities for planning and leading corporate Human Resource Operations with directly related experience in mergers and acquisitions. He has focused strengths in organizational planning, new plant start-ups and union awareness with in-depth experience in management assessment, development and succession planning as well as designing, directing and implementing culture change. Beginning his career as an hourly employee with General Electric he has an experience base that allows an in-depth understanding of policy and practice relating to the overall work force from entry level to executive staff. His years progressing through various companies have created an expertise that includes manufacturing, service and retail industries around the globe. While at Delta Airlines Ken was instrumental for the implementation of a union awareness strategy designed to maintain the company’s union free status which still stands today. He established and trained a core team of over employees designed to serve as the front line focused effort on positive employee relations and implemented a week long values based managerial development program to support the company’s commitment to union free operations and enhance the leadership qualities of the management staff. Over 2000 employees began to practice the tenants of positive employee relations as it was ingrained in the culture. In the senior management role Krispy Kreme Doughnuts he gained experience with SEC, DOL and the Department of Justice investigations and successfully guided Krispy Kreme Doughnuts through the forced departure of the CEO and establishment of an interim management group. While at Krispy Kreme he laid the foundation for a positive employee relations attitude and expectation in the leadership culture of the organization. Over 400 leaders and emerging leaders were trained in the successful behavior of leaders. He served as the company representative for the restructuring of the senior team to include the recruiting and selection of the senior staff and the Chief Executive Officer. Ken holds a Business Management Degree from Franklin University in Columbus, Ohio and has completed numerous Management Programs during his career with the various companies he has served. 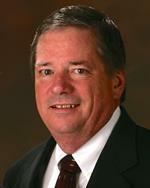 He is an associate with Mr. Dan Lumpkin, CMC founder of Lumpkin Associates. He and his wife Karen reside in High Point, North Carolina.